Following on from last week’s blog that honed in on the latest array of Christmas adverts to hit our screens, it got us thinking about the power of emotion when it comes to advertising. Any advert that can make someone share it, or compel them to buy something, has got to be able to leverage a relatively strong feeling of emotion, or else, why would anyone care? 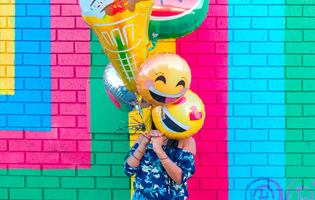 If you already work in marketing then you’ll likely already know, as many studies have shown, that people rely on emotions, rather than information, to make choices about brands. So, by consequence, this must mean that someone’s emotional response to an advert must be more influential on their intent to buy a product, than the actual content of the advert itself. For example, no matter how rational, or logical, you purport to be, our emotions are the underpinning force that steers us in the conclusion of even the most rational deliberation. And this isn’t a bad thing, emotions don’t necessarily obstruct our decisions, they simply provide the base layer onto which those decisions are made. So, with this in mind, and with a reflective Elton John tinkling away on his baby piano in the background, we’ve come to realise that advertisers have really tapped into this notion in the modern day. According to the latest statistics, in the last 2 years, the most-shared adverts online have relied very heavily on emotional content. The main themes being, friendship, inspiration, empowerment and happiness. 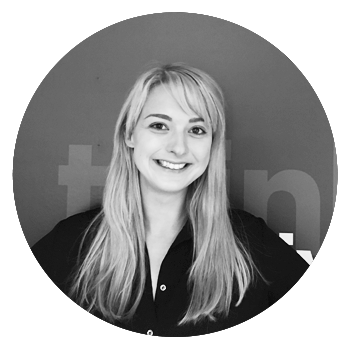 What is also prevalent is that the most successful adverts today embody the overarching themes of inclusivity, diversity, equality and the over-coming-of-hardship for the underdog. Granted, many advertisers still have a long way to go, but many, many more haven’t always been even half as smart as they are today. 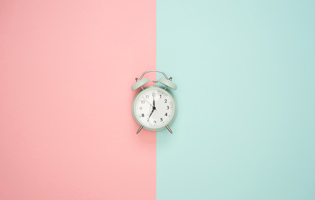 Looking back across the decades, it would seem that emotional awareness from brands hasn’t always been so delicately charged toward our sensitive little souls and that humour, sarcasm and out-right fear have played a major role in cajoling unsuspecting customers to flock to a brands latest offering over the years. 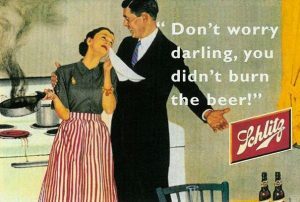 I mean, I’m pretty sure I don’t need to high-light the glaringly obvious sexism in this poster advertising southern American beer brand Schlitz, but I can’t imagine that this (at the time) non-ironic advert from the 50’s would have many 21st century families today rushing to make this beer off the back of that campaign. 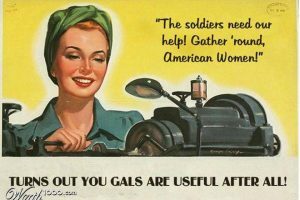 Yep, we know the world was at war and everything, but even the colloquial use of the term ‘gals’ wouldn’t save the US Government from any angry protest march on Washington if they dared engage with the same CTA today. Ah, the 80’s. What a time to be alive. 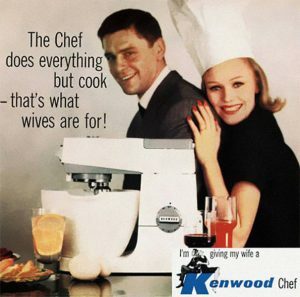 Get yourself a Kenwood Chef ladies, because then all you need to do, is just, cook – how delightful! 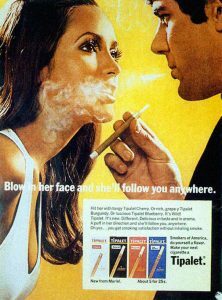 In case you can’t read the grainy text on this, it says; “Blow in her face and she’ll follow you anywhere.” Ah, such a classic. I’m not sure what’s more offensive, the degrading innuendo, the encouragement of passive-smoke inhalation or the assumption that a woman would want to follow a man with such poor etiquette around anywhere. If this advert were recreated today I imagine it would read something like ‘Laugh in his face and go and download Tinder’ (other dating apps are available). 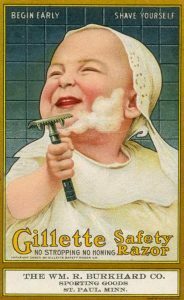 Well, we hope you’ve found our look-back on the evolution of emotion in advertising useful and amusing. 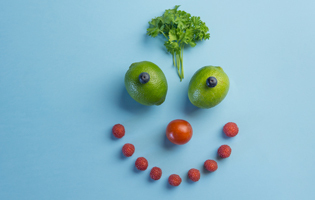 But, if you’re thinking about your brands next campaign and you think the creative deserves a little bit more ‘emotional maturity’ then get in touch today, we’d love to help!